To apply for DBT CITI 2019 please fill out the form below. Portland DBT Institute training is available to schedule as a private training for your group. PDBTI’s training team travels locally, nationally, and internationally, to provide evidence based, adherent DBT training. Please fill out our Private Training Request Form and a training coordinator will contact you to see how we can work together to exceed your organization’s training goals. The innovative DBT Comprehensive Implementation & Training Initiative (DBT CITI) is designed for practitioners and programs seeking an immersive experience in DBT – where the primary goal is to build a strong and adherent DBT program, outstanding DBT clinical competence, and a highly effective DBT consultation team. Our immersive approach applies the best of training and implementation processes and methods developed by Drs. Marsha Linehan, Kelly Koerner, Linda Dimeff and their colleagues at the University of Washington, BTECH, & BTECH Research over the past two decades. 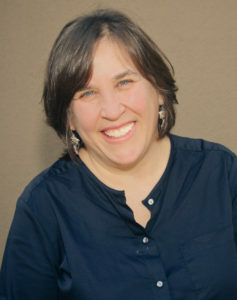 Our eyes will be squarely set on ensuring that trainees and programs will be well-prepared for Linehan’s DBT Certification and Accreditation dbt-lbc.org. Between Parts I & II: Strengthening Clinical Capability and Building a DBT Program. At the conclusion of Part I, detailed instructions for practicing DBT and building a DBT program will be provided along with a DBT exam intended to help individuals prepare for the DBT Certification tests and to further strengthen their mastery of concepts. Assignments completed during this interim period will be presented at Part II. Virtual DBT CITI Part II+: Strengthening Core Competencies and Refining Program Direction. The intent of Part II is to refine and receive feedback on DBT clinical skills and to ensure that each DBT program is headed in a direction of building a DBT program to fidelity. Specifically, each team will present a clinical DBT case, a clinical sample, and their DBT program. We will highlight those elements that are “on-model” and will work with the team on those elements that are “off-model.” We will drill down further on concepts and strategies that require further refinement and practice. Teams new to DBT who are completing their 10-day comprehensive DBT training experience. 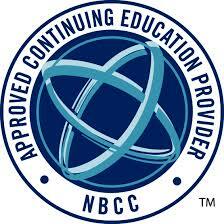 DBT clinicians who have minimally completed a five-day Part I who wish to prepare for DBT-LBC Clinician Certification. Teams seeking further assistance building, enhancing their DBT programs and ensuring their fidelity. Parts I & II are required for new DBT teams and clinicians who are not part of an established DBT program. For New Members of established DBT Teams only. DBT CITI is designed specifically for teams of individuals who work together and who seek to learn DBT and build a DBT program. Each team is required to have a team leader. Individual clinicians and teams of two will be accepted on a case by case basis following review of training applications and added to another existing DBT team. Each team is required to have a team leader. If your team is traveling to be with us, PDBTI has a room block set aside at McMenamins Edgefield to ensure that your team can focus on learning. Built in 1911 as the county poor farm, Historic Edgefield is a destination resort in the Pacific Northwest that blends Oregon’s natural beauty with McMenamins’ signature whimsy: original buildings carefully restored with cozy interiors, gardens grown using organic methods, great food and drink, live entertainment and more. Encompassing a 74-acre parcel of farmland at the mouth of the spectacular Columbia River Gorge Scenic Area, Edgefield is a 20-minute drive to or from the center of downtown Portland and about 15 minutes from Portland International Airport. The stately main building, with over 100 guestrooms and hostel accommodations, is furnished in turn-of-the-century decor. There are no televisions or telephones in the rooms, encouraging tranquility as surely as do the rocking chairs on the verandas. Guests may choose from rooms with private bathrooms or with conveniently located common bathrooms down the hallway. Complimentary WiFi is offered around the Black Rabbit Restaurant, the Library and in many of our event spaces. Teams wishing to book rooms in the Portland DBT room block will need to contact McMenamins Edgefield front desk, request the Portland DBT Room block, and provide a credit card number to reserve. Reserved rooms are the least expensive rooms in the quiet area of the hotel. Prices are variable, so the sooner rooms are reserved and locked in, the lower the rate will be. Rooms not reserved will be released back to the hotel September 20th. Please contact McMenamins Edgefield at (503) 669-8610 if you wish to reserve.